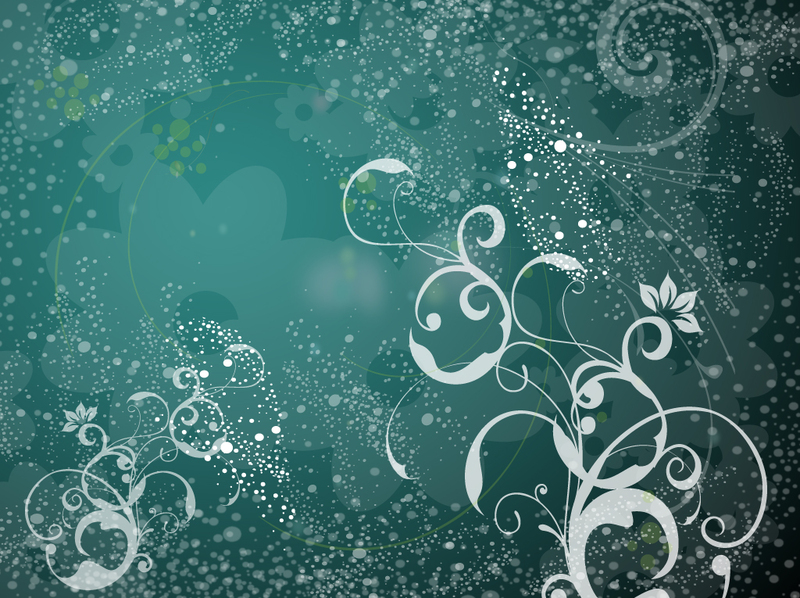 Deep green vector background with floating scattered bubbles, simple flower shapes and white plant filigree. Abstract and decorative graphics that create layers of interest and depth for your print and web designs. Free download for your flyers, brochures, business cards and banners. Tags: Abstract Nature, Bubbles Vector, Decoration, Dtp, Invitation, Layout, Plants.